Before we grill squash we like to coat ‘em with salt and let ‘em sit for a bit ~ this gives ‘em time to think about what they’re going to become. 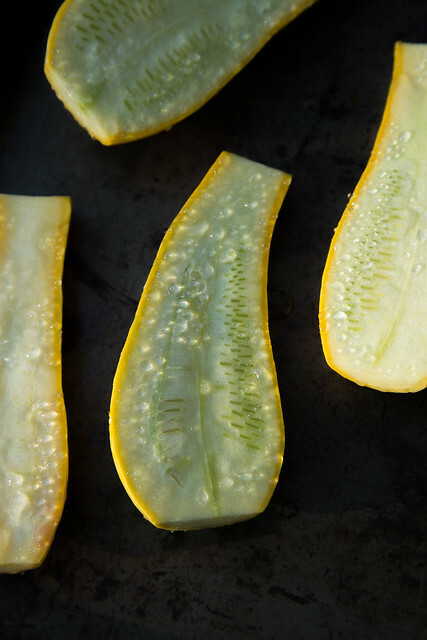 Okay, okay, the salt actually draws out moisture and helps the squash stay crisp after grilling – after at least 30minutes we wipe the salt off and add the seasoning of our choice! Once you’ve grilled your squash you can serve it immediately as a side dish or save it for later in the week to be sliced and thrown onto salads!